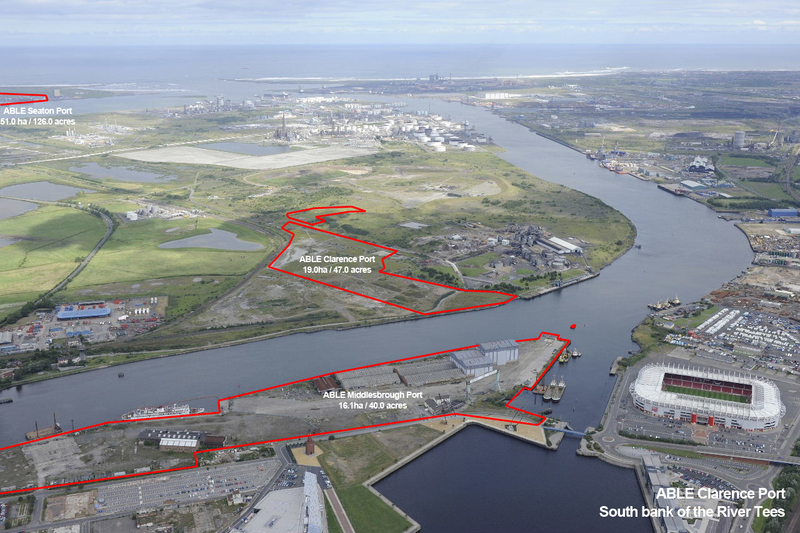 This 19 hectares (47 acres) site is in the heart of the industrial centre of Teesside and offers around 210m of river frontage. On the North bank of the River Tees it sits on the opposite side of the river to ABLE Middlesbrough Port. Adjacent to the existing ‘Clarence Lower Wharf’ (owned and operated by Koppers). The site has the potential for further development of wharf facilities to support tenants operations. The site is the location for Eco2 Ltd new 40mw CHP waste wood power station. 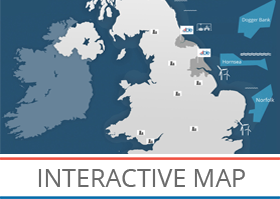 This 160 million pound investment will be commissioned in 2018 and will generate enough renewable energy to power 70,000 houses and will contribute to base load. 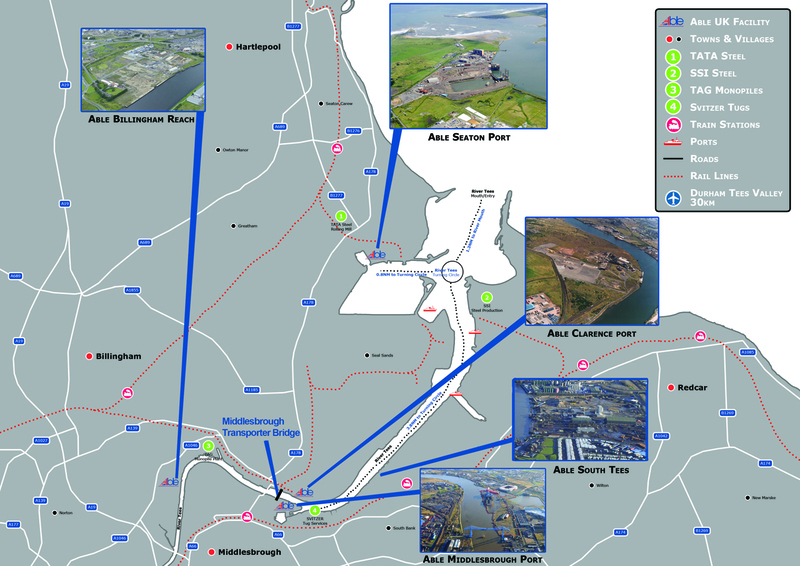 The site benefits from excellent road and rail access and is only 4 miles (6.4 km) from A19/A66 interchange and 1km from the main A178 Seaton Carew/Tees Road Link.